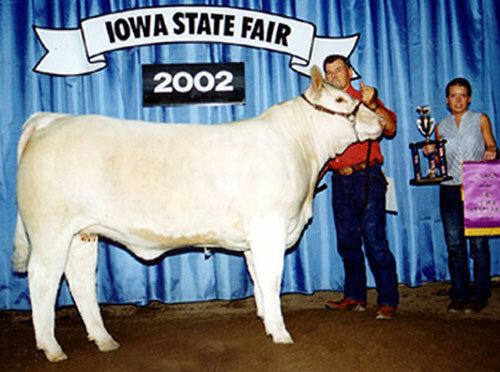 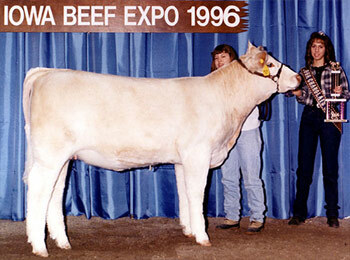 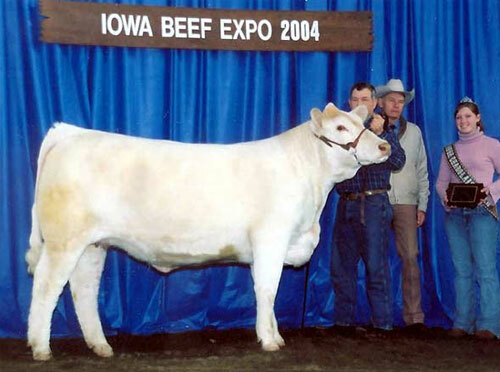 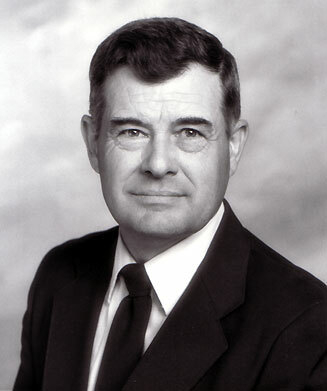 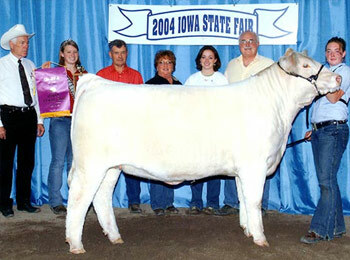 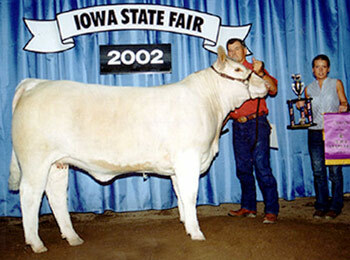 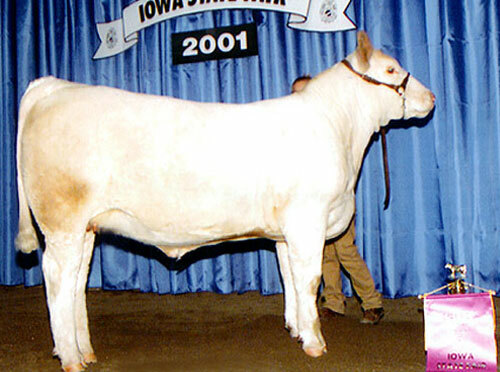 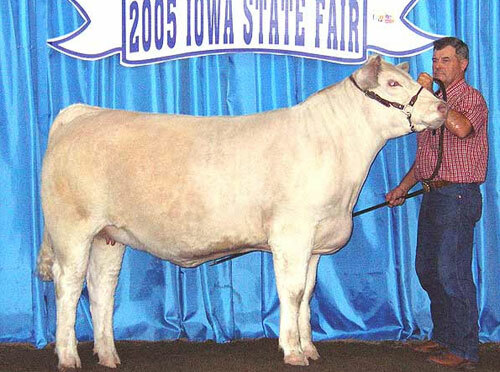 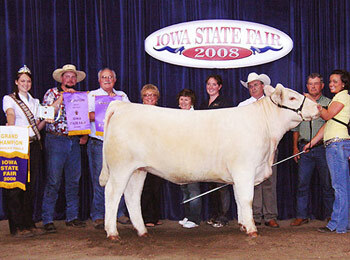 Producer Award in 2003, presented by Neil Orth, Executive Vice-President, at the Iowa Beef Expo. 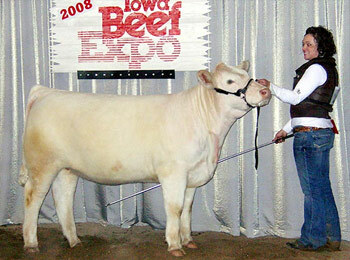 the beef producer and the cows. long run in this business." 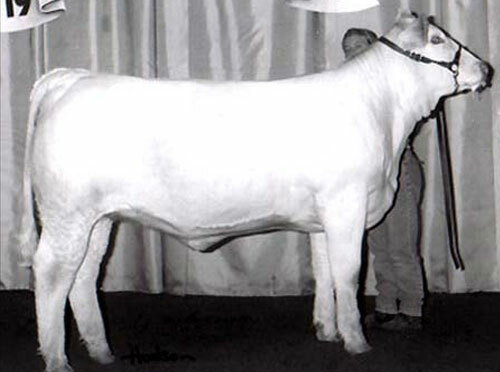 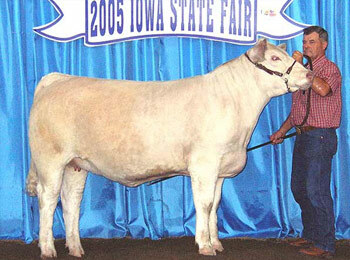 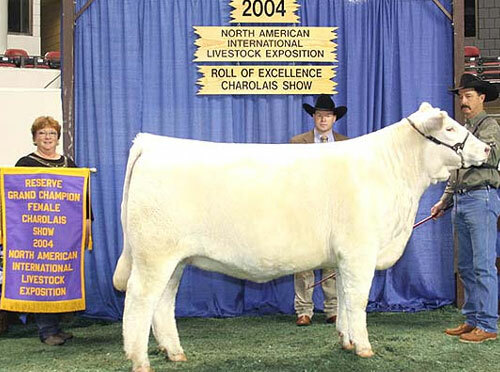 Congratulations to Stream Cattle Co.
GB Miss Wind 365 - AKA. 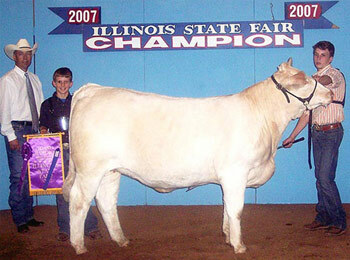 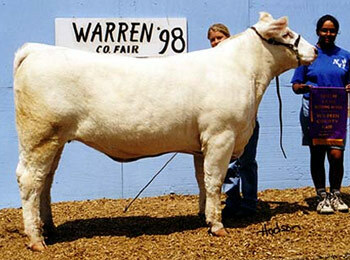 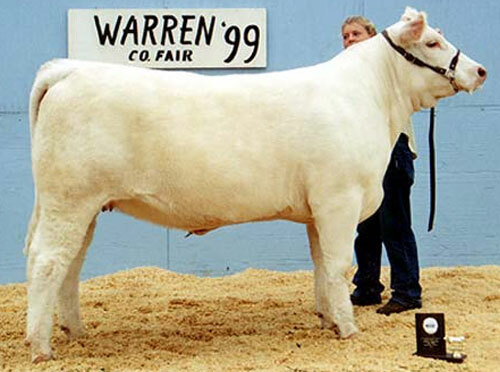 "Wendi"
Overall Supreme Champion Female at the Warren Co. Fair. 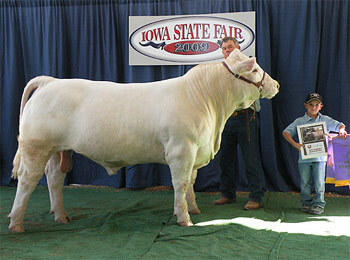 He weighed in at 3,258 lbs. 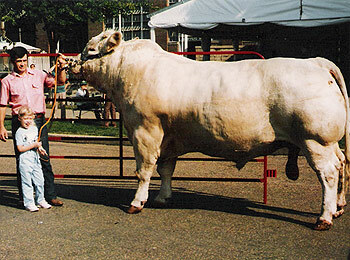 & held the record for many years.